Amaikha is a multiscript typeface family developed during the MA Typeface Design at the University of Reading (UK). 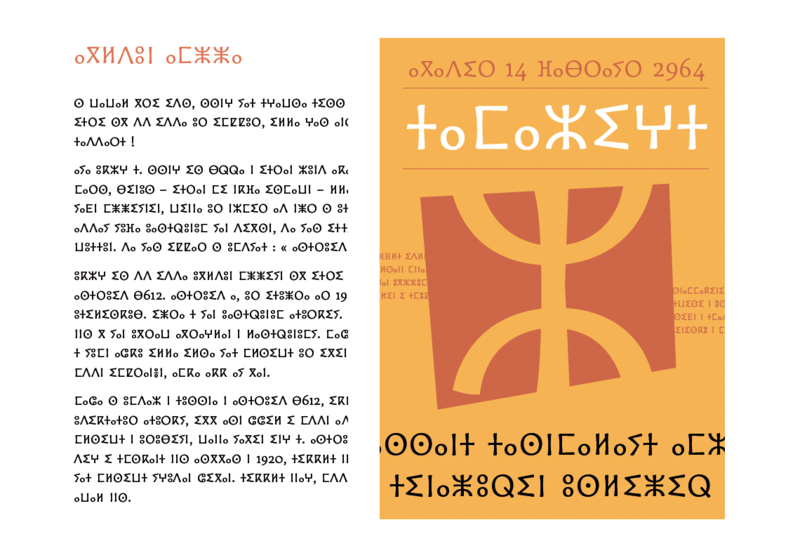 It covers several scripts including Latin, Cyrillic, Greek, Arabic and Tifinagh (work in progress). Check Amaikha Tifinagh and get its Regular weight for FREE!